Cinefilia Tanguera is an Itinerant & International Short Film Festival linked to TANGO, not competitive. Our primary objective is promote the tango and cinema, from an original perspective without dissemination and promotion anywhere in the world, as are the works of short films and documentaries about the identity of the tango in all sense. Cinefilia Tanguera was already shown at Cagliari (2009, 2010, 2011, 2012, 2016), Barcelona (2009, 2016, 2017), Moscow, London (2009, 2013, 2016), Madrid (2009, 2016), Ámsterdam, Brussels, Catania, Hamburg, Jordan, Buenos Aires (2010, 2011, 2012, 2013, 2014, 2015, 2016, 2017), Athens, Valladolid, Zurich, Bergen (Norway), Milán, Eindhoven, Sassari (2012, 2016), Berlin, Paris, Crete (2016, 2017), Budapest, Tenerife, Formentera, Ibiza, Istanbul, Tokyo, Singapore, Kuala Lumpur, Manila, Bali, Bilbao, Montecarlo, Arles, Georgetown (Guyana) & Toronto. Cinefilia Tanguera opens the reception of material to complete the Official Selection, we are receiving the works of students of cinema’s studies, professional film makers, amateurs and dancers that are interested in exhibit their audiovisual works. The 2018 tour will be global again, including at least 10 countries and 3 continents, Europe, Asia and America as destinations confirmed, and several more to confirm, thereby forming a new concept and dynamics. The works should be short films (documentary, fiction, video-creation, video-clip, animation, making of etc), but we are also open to receive and display feature films. The films should have any type of connection with Tango, may it be musical, visual or conceptual. Those interested in participating (participation not competitive nor financially rewarded) should send the work/s in a format that can be shown from a computer (DVD, mpg, mp4, mov, etc.) by official Registration, directly to info@cinefiliatanguera.com, or by the alternative of Cinema Platforms that we are part of. Feel free to contact us for any question that you may have. (It is recommended to send the material as soon as possible in order to get into programming to be made in advance). 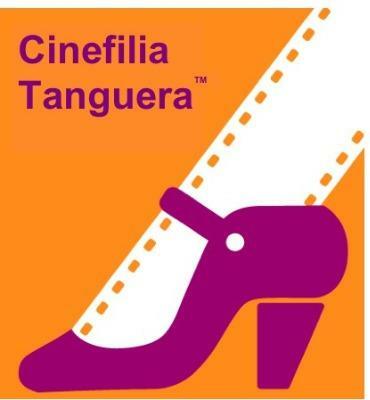 Cinefilia Tanguera is a Tango Short & Documental Film Festival. We have 10 years, and we were presented in over 30 countries in the world. We have the global biggest tango film collection, with over 250 films.